With the largest and most diverse range of properties available to rent, Cottages and Castles, Scotland's specialist holiday lettings company has summer 2011 covered..
Over the last two years, the firm has seen an increasing trend towards more people holidaying at home, with great demand over the popular school holiday term for self catering properties all over Scotland. For those still looking to book a superb Scottish holiday, Cottage & Castles has a fantastic range of properties available from the quirky Ice House in St Cyrus, Angus, to the recently launched and truly outstanding Cape Cove on the Isle of Bute, boasting its very own private beach. Cape Cove has recently been re-designed and renovated in a modern beach house style. This exceptionally stylish home with luxurious interior finishes enjoys a fabulous waterfront location with its private pebble beach and jetty, along with its own hot tub (available from August). This unforgettable family holiday house has a multitude of features and user-friendly technology with heated sandstone and slate floors, atmospheric lighting and a wood burning stove. Price: 1750 per week for summer 2011 - sleeps 10. To stay for a week at Cape Cove during summer at full occupancy will cost you 25 per person per night. If you'd rather escape the heat then the quirky Ice House is for you. 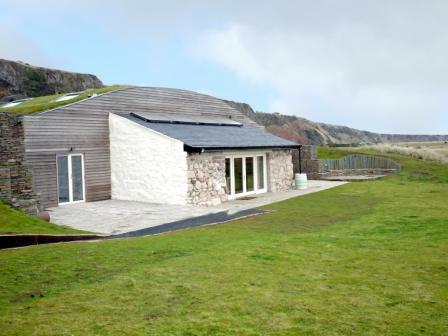 Converted from a 19th century underground ice house and originally associated with an historic salmon fishing station, this beach-side holiday house in Angus is both unusual and original, with its grass roof, vaulted ceilings and glass frontage. A contemporary and stylish finish compliments a real feeling of luxury and comfort, with every effort made to make this a wonderful holiday experience. Price: 900 per week for summer 2011 sleeps eight. To stay for a week at the Ice House during summer at full occupancy will cost you 16 per person per night. 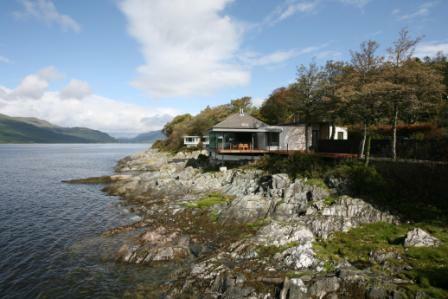 This property, sitting above the beach looking across the bay to Eigg and Rhum, is one of the most outstanding and luxurious properties in the castles range. With its welcoming charm, ornate woodwork and original fireplaces it is the perfect big holiday house for those who recognise and enjoy the best in life or for that extra special occasion to celebrate a family event. The interior of house has been lovingly renovated with all rooms bar one offering beautiful sea views. Price: 14,100 per week for summer 2011 sleeps 20. 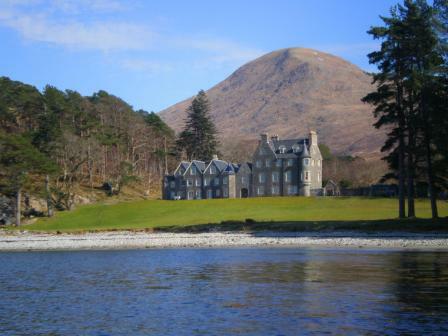 To stay for a week at Roshven House during summer at full occupancy will cost you 100 per person per night. Built in the 18th century, Claypotts is a delightful cosy cottage with fully equipped kitchen, modern facilities, cast iron wood burning stove and fully enclosed garden with BBQ for enjoying the long summer nights. 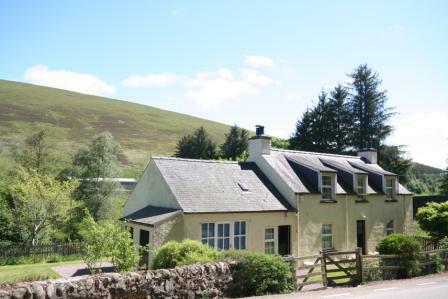 Set in the heart of Glenisla it is surrounded by rolling farmland and heather clad hills and has the pretty River Isla tumbling past the bottom of the garden. Price: From 932 per week for summer 2011 sleeps six. 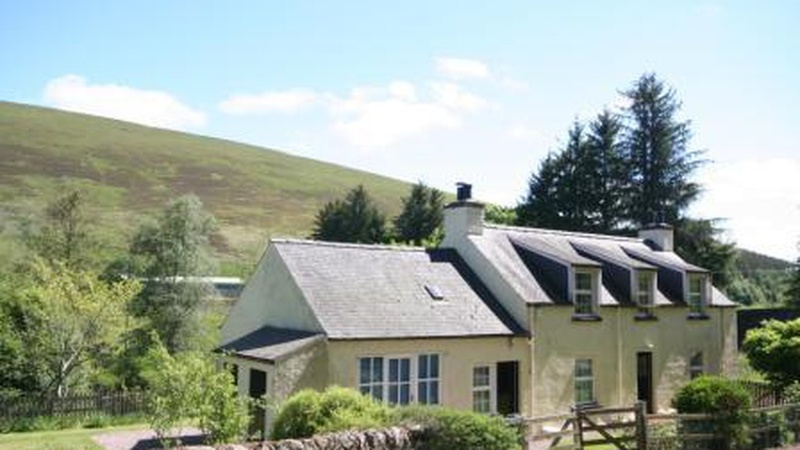 To stay for a week at Claypotts Cottage during summer at full occupancy will cost you 22 per person per night. An additional 20% discount is on offer for all available dates until 15th July 2011. Cottages & Castles' sophisticated online service makes is easy for users to find their ideal accommodation and holiday destination by splitting Scotland into distinct regions with suggestions for local activities, attractions, eating out and events in the area. So booking that all important summer holiday in Scotland couldn't be easier, just visit the Cottages and Castles website.